At the Natural Family Health Clinic, Ltd we specialize in uncovering the hidden causes of illness. For this we rely on cutting-edge diagnostics completed within the clinic such as Arterial Stiffness Analysis to analyze hardening of the arteries, and Heart Rate Variability testing to analyze the functioning of the autonomic nervous system and the effects of stress. We also have available a facility for drawing blood and taking other specimens to send to various labs which analyze everything from hormone status to food allergies, toxin levels, and infections. 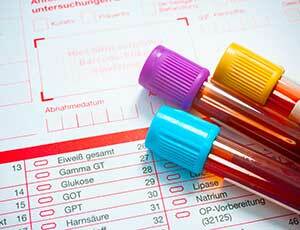 Many of these tests are alternative and not available through conventional doctors. The number one cause of mortality around the world is still cardiovascular disease. Despite all of the education and influx of pharmaceuticals, this disease persists and has touched everyone’s life at one time or another. Early detection and prevention is of utmost importance in our efforts to reduce the impact of heart and circulatory disease on our lives. We cannot change the fact that we are aging or that we have been given undesirable genetic cards, but a proactive approach to thwarting this disease process significantly reduces the overall risk of developing heart attacks, strokes and other cardiovascular diseases. The Digital Pulse Analysis (DPA) is a tool to monitor the health and elasticity of the arterial system. Early signs of cardiovascular disease are covert, often becoming severe before being detected. Usually the first sign that things are wrong is that a patient presents with high blood pressure or high blood cholesterol levels, but often the first indication is an actual heart attack or stroke. Naturopathic Medicine is a unique and comprehensive approach to improving health and addressing illness. Focusing on prevention and using natural approaches, Naturopathic doctors support and stimulate the body’s ability to heal itself. The primary goal of Naturopathic treatment is to address the cause of illness, rather than simply treat or suppress symptoms. The DPA is a non-invasive, fast tool which can provide you with a measurement of the overall health of your circulatory system. As patients rest comfortably, an arterial pulse sensor is placed on the finger to accurately measure the elasticity of small and large arteries. It is a means of determining whether or not you have early signs of hardening of the arteries (atherosclerosis) which ultimately leads to cardiovascular events such as heart attacks and strokes. Heart Rate Variability (HRV) tests the balance of the autonomic nervous system using time and frequency domain analysis and provides early detection of psychological and environmental factors affecting health. It is a cutting-edge measurement of cardiovascular and nervous system health. Low HRV has been shown in numerous longitudinal studies to be related to a higher mortality rate in both healthy and unhealthy subjects. It therefore, is a strong predictor of all-cause mortality. The heart is not just a simple pump, but also a complex sensory organ with its functional “heart brain” that communicates with and influences the brain via the nervous system, hormonal system and other pathways. Research has shown that these influences profoundly affect brain function and most of the body’s major organs. Science now confirms that stress significantly increases the risk of heart disease, including sudden cardiac death. Unmanaged emotional stress is equally, if not more important than physical variables in determining health outcomes. A conservative estimate is that 75% of visits to primary care physicians are due to stress-related disorders. Psychologists are increasingly recognizing the importance of HRV. A number of studies have demonstrated that patients with anxiety, phobias, and post-traumatic stress disorder consistently show lower HRV. HRV testing is quick and non-invasive using only a finger sensor to detect nervous system variations. Early Signs: Decreased sense of touch, hearing, vision, and taste; metallic taste, fatigue, and increased salivation. Later Chronic Signs: Anorexia, numbness, headache, high blood pressure, irritability, excitability, ADD/ADHD, and immune suppression. Advanced Signs: Tremors, incoordination, anemia, psychosis, mania, autoimmunity, and kidney failure. Arsenic is another toxic heavy metal proving to be involved in some chronic health problems. A study which examined 28000 people exposed to Arsenic from their drinking water showed a positive correlation between Arsenic exposure and levels of high blood pressure, diabetes, microvascular disease, and overall death from cardiovascular disease. Lead and Cadmium have both been associated with an increase in oxidative stress which is a major cause of chronic degenerative disease. Oxidative stress leads to tissue inflammation as well as oxidized cholesterol leading to an increased cardiovascular risk profile. Lead is a serious neuro-toxin that adversely affects IQ at any detectable levels in the brain. Children are the most susceptible to lead exposure and absorb approximately 50% of the lead they are exposed to as opposed to adults who absorb about 10%. Environmental sources of lead include drinking water from old plumbing systems, insecticides, pigments, enamels and glazes, solder, varnishes, certain plastics, and some heavy greases. Lead has a special affinity for brain gray matter and stores abundantly in the bones. It can cause or contribute to the following health problems: Vitamin D metabolism disorders, decreased nerve conduction rates, hearing impairment, delayed growth, behavioral disorders, anemia, osteoporosis, cardiovascular diseases, and chronic brain diseases. Cadmium toxicity is caused mainly from cigarette smoking, but it may also bio-accumulate from sources such as mining, smelting, pigments, paints, electroplating, batteries, plastics, synthetic rubber, photographic and engraving processes, old photocopy drums, photo-conductors and photovoltaic cells, and some alloys used in soldering and brazing. A simple urine provocation test will tell you relatively how much of each toxic metal you have stored in your body. The main agents used to remove metals from tissue stores are EDTA and DMPS. These chelating agents are safely and gently administered intravenously by a Physician with special training in this area. Several treatments may be required to remove all of the metals and ongoing metal chelation may be required to keep the levels low since persistent exposure is inevitable in modern society.